What Is a Rotisserie Roast? 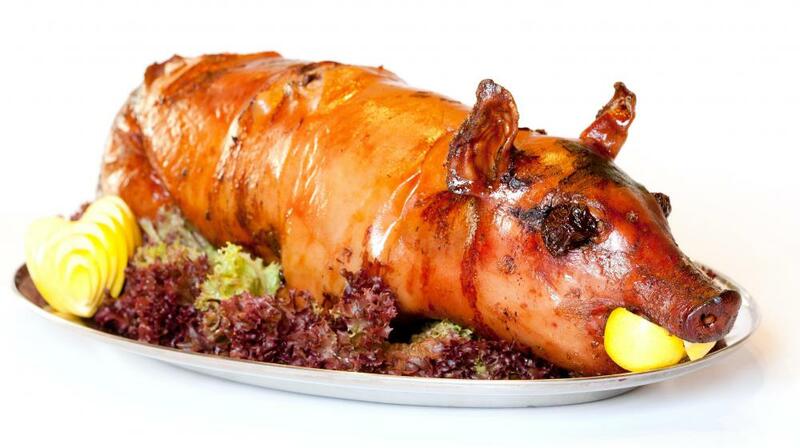 Pig can be made into a rotisserie roast. 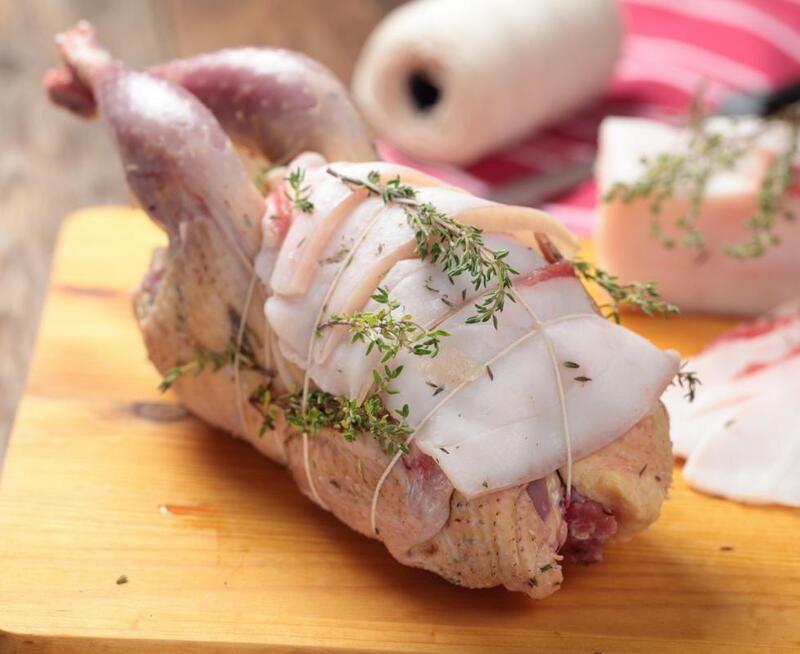 A classic rotisserie item is a whole chicken trussed with herbs. 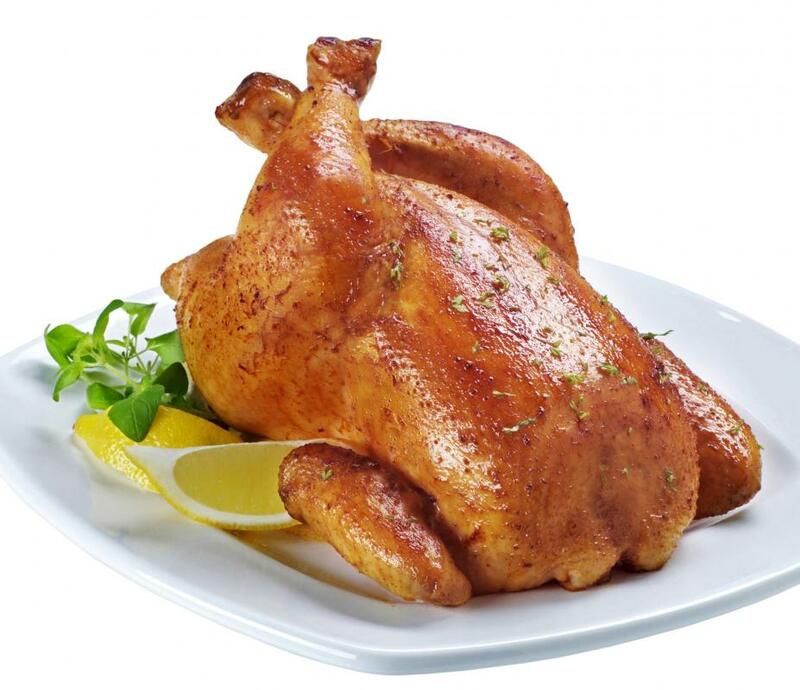 A rotisserie roast is a piece of meat that has been cooked over dry heat while affixed to a spit or other device that turns the meat slowly, evenly exposing all sides to whatever heat source is being used. 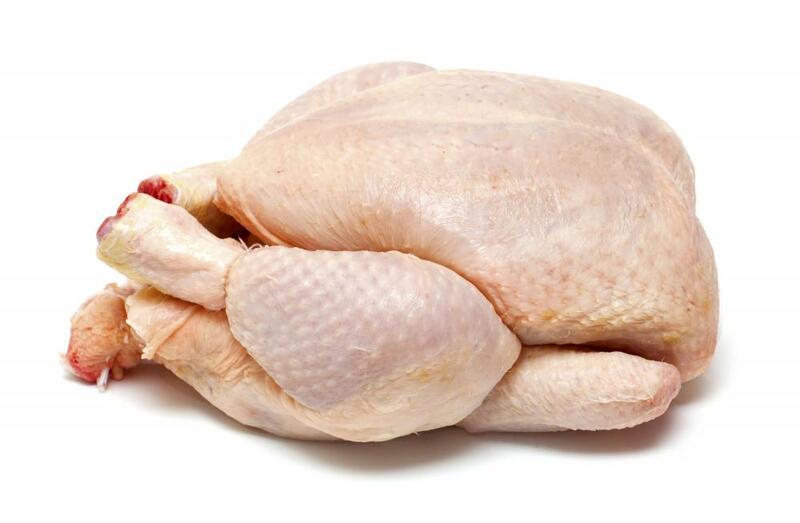 Nearly any type of meat can be considered a rotisserie roast, although the concept of using a rotisserie really works best when the meat has been formed into a cylindrical shape that is an even thickness all around. One of the benefits of cooking a roast with a rotisseries is that, as the fat and other juices from the meat are expelled through the surface, the moisture on top is drawn down the sides, but it also is suspended on the surface for a longer time as the meat rotates, creating a self-basting effect. When performed properly, a finished rotisserie roast will be evenly cooked, moist and juicy on the inside, and browned and crisp on the outside. An important element in making a rotisserie roast is the rotisserie that is used. Many types of rotisseries exist, from small countertop kitchen models to large outdoor designs with powerful motors made to turn an entire pig. The most vital part of a rotisserie is the motor. The motor should be powerful enough to turn the weight of the roast, while also in good enough condition to consistently turn the meat at a constant rate for as many hours as it takes to cook it through. The skewer, basket or spit that is attached to the motor also should be well weighted and secure to ensure that it does not come off its brackets or get jammed. When a rotisserie roast has been prepared for cooking, which can involve a dry rub, marinade or even a flavor injection, it should be formed into an evenly sized shape that will fit on the spit while not touching the heat source. This can involve trussing the meat with twine, using special attachments for the spit that have prongs or forks to hold it in place, or even placing delicate pieces of meat such as fish in a basket for cooking. If all surfaces of the meat are an equal distance from the heat, then the roast will cook faster and more evenly. Once the meat is mounted on the spit and the spit attached to the motor, the cooking can begin. In general, a rotisserie roast takes slightly longer to fully cook than other methods, mostly because some of the heat dissipates into the air before reaching the meat. The roast can benefit from occasional basting, although, once the rotisserie is set up, the roast typically will slowly cook itself without need for further attention. What Are the Common Rotisserie Parts? What is a Roasting Spit? What is a Broiler Rotisserie?